There are several different ways on how to perform rhinoplasty, either surgically or non-surgically. In non-surgical rhinoplasty, dermal fillers are injected to certain regions of the nose to fill gaps within the nose, while surgical rhinoplasty (either closed rhinoplasty or open rhinoplasty) uses implants (either artificial or natural implants) to make the nose look better. 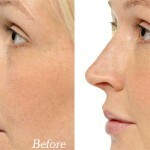 One type of rhinoplasty, the augmentation rhinoplasty always uses nose implants. 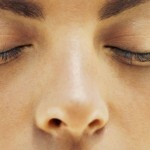 There are several different types of nose implants as mentioned above, the natural or artificial nose implants. And both major types of implants have its own subtypes. Autologous cartilage graft is a technique used not only in rhinoplasty, but also in other surgical procedures. Autologous cartilage graft obtains cartilage within the patient’s own body and transplant it to another part of the body. Autologous cartilage graft has lesser possibility or risk for complications since the implant or graft used is not a foreign object or substance, which the body won’t reject, unlike when using artificial grafts that the body can possibly reject. There are several parts in the body that can provide autologous cartilage graft, such as the rib cage or the ears. As explained earlier, autologous cartilage graft is a surgical technique that uses the patient’s own cartilage and transfer it to another area or part of the body. In autologous cartilage graft rhinoplasty, most of the time, cartilage from the patient’s rib cage will be obtained and use the cartilage as a nose transplant. Aside from the patient’s rib cage, cartilage from the ears can be obtained and used as a nose transplant. Up to which part of the patient’s body will the cartilage be obtained from is up to the surgeon and patient’s discretion. However, there are really times or situations that will really need to undergo autologous cartilage graft rhinoplasty and not use artificial nose implants. Serious or major nose deformity. Patients with congenital nasal deficiency. Patients with known autoimmune diseases. Any history of any artificial implant rejection. How is Autologous Cartilage Graft Rhinoplasty Done?